Final NEW MOON of the year comes around to offer us the space to pause and intentionally prepare to begin a New Year. 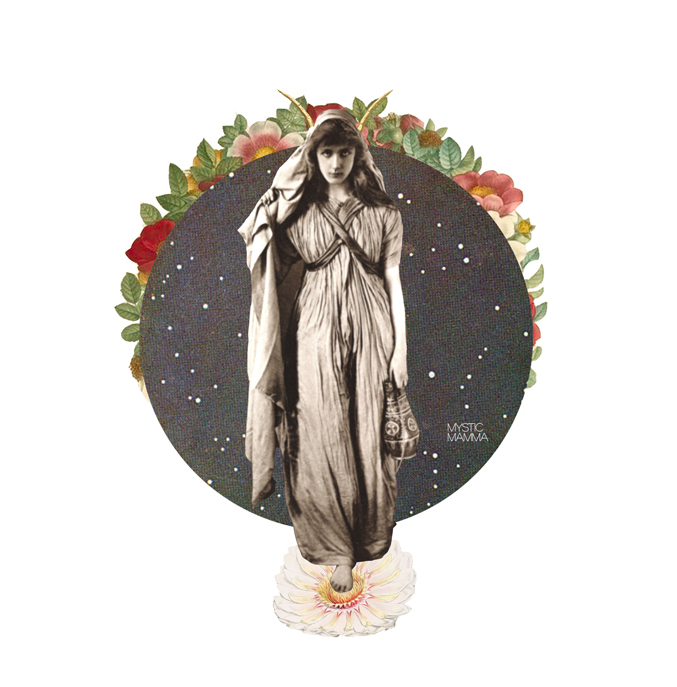 Here are the MYSTIC MAMMA Astral Insights from our beloved featured astrologers. “Modern society attempts to create the illusion that everything is under control. “While that illusion certainly helps things run smoothly and ensures that everyone plays their role, it comes with a price. The price is immense repression of our primal nature and the subjugation of any reality or viewpoint which threatens the status quo. “We’re all conditioned to see the world a certain way and to fear anything that puts into question our standard narratives. “…this is a moment to step back, reflect, and take your time in considering your present options and decisions. “Mercury’s alignment with this New Moon further reinforces the need to slow down. That’s because Mercury is currently retrograde. “This three-week process can sometimes feel frustrating. Life doesn’t readily yield to our plans and expectations. Things sometimes break down. “Occurring in the sign of Capricorn, this New Moon favors conscious solitude. With the busyness of the Holidays, this can be hard to attain. But even a brief moment of alone time will help you focus and clear your head. “While Capricorn can incite ambition, hold off on impulsive or drastic actions. You have more time than you think. Capricorn prefers sustained effort and thoughtful strategy. “With Mars conjunct Neptune in Pisces sextile Mercury and the New Moon, you will uncover the energy you need only if you pause and take notice of your inner needs first. “Consider the importance and value of inner journeying and self-reflection. And consider how much insight you already have within you. “Capricorn’s lessons are about showing up, taking responsibility, working within whatever limitations are present, pushing your limits, and treating the material world as the sacred manifestation it is meant to be. “Saturn, Lord of Time, Keeper of Karma, keeps them disciplined, motivated, determined. “The energy to get organized, make a plan, not get distracted, and go for it comes from Saturn. “So what can you do with this somewhat unfestive energy is take the time now to make two lists: One for all the things you want to get rid of and one for all your goals and objectives for 2017. “Saturn as ruler of the chart is exactly square Chiron at 21º Sag-Pisces. Chiron has been pretty active lately, so it means some necessary healing work is taking place. “Have you had the feeling lately that some very old festering material is being drawn up to be dealt with and hopefully stop reappearing in new forms. Well, your intuition is serving you well if that’s the case; you’re in good company. “The principle here is clear: When the opportunity to draw down healing energy to a core wound presents itself, as is possible in this kind of aspect, dig deep. This is where your power lies buried waiting to be excavated. “Sure, there’s a lot of vulnerability, surrender and loss of ego involved, but there is the treasure of being tested and found strong and capable on the other side. Your maturity bank account will be increased. “If you are blessed with clear skies in early January, watch for the crescent Moon conjunct Venus late at night on New Year’s Day – so lovely. “Over the next 4 weeks, the New Moon in Capricorn indicates a time when we will need to settle into enjoying the role we were born to play, and allow ourselves refreshment and time to withdraw from the ordinary interactions of the world so we may find those who ‘speak our language. “Capricorn takes the magnetism bound in Scorpio that was widely distributed in Sagittarius and shapes it into forms of personal power and expertise. This begins the new year of power through its conjunction with Pluto. “…With this Lunation, we enter into a period where we need to enjoy being who we are, letting go of old inhibitions so we can be as natural as possible as we hear a call to renewal. “Capricorn deals with claiming forms of personal power in the world, but only those forms which are in harmony with our ‘true and original nature,’ the innate innocence we are and have been since birth. Beautifully Written, love it! <3 Thanks for sharing! Thanks for a wonderful reading for the new moon. Thank you for the continued affirmations. This read like one big resounding YES to so much that is, was, and will be. Loving this confirmation of my urge to set aside some time today to be on my own & to write down & map out the things I want to achieve in the year ahead. Thank you ! Perfect out working !! Thank you!!! and Happy New Year!! This new moon really had a profound influence on me as my birthday falls on the 30th… I knew something was “in the air” bringing me some renewed clarity. Thank you for sharing all these summaries and thoughts. Makes so much sense! I couldn’t put it in so many words better myself!